Club Matters, the essential one-stop-shop for sports clubs, will provide you with support, learning and guidance on all aspects of running a club whether it is large, small, formal or informal. Club Matters offers free, simple and bite-size support to all clubs. Online Support – There is wide a range of support available including online toolkits, quick reference guides and e-learning modules. 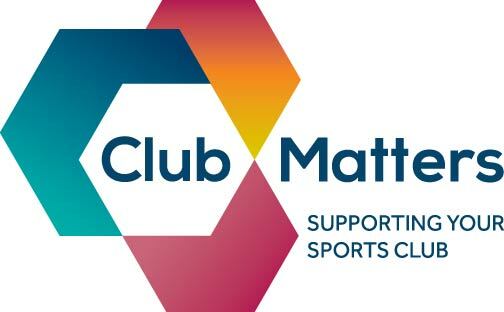 Workshops – Club Matters workshops are free, short training sessions delivered across the country by Club Matters facilitators on a range of specific topics. Club Improvement Plan – An online health check for clubs of all sizes and at all stages of their development, to establish where they are performing well and whether they can develop. This will provide your club with a tailored development plan. Click here to start your plan today.